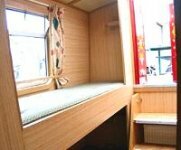 The Mist class canal boat is rated 4 Stars and can sleep up to 8 people. 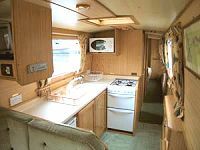 DESIGN: The boat is a 63ft long, 8 berth cruiser stern narrowboat. It has a quiet water-cooled diesel engine with simple to use controls. BEDDING: Freshly laundered bedding is supplied for each crew member, as per your requirements. Additional bedding is available upon request. Towels are also supplied – one medium sized towel per crew member, and one hand towel per bathroom.